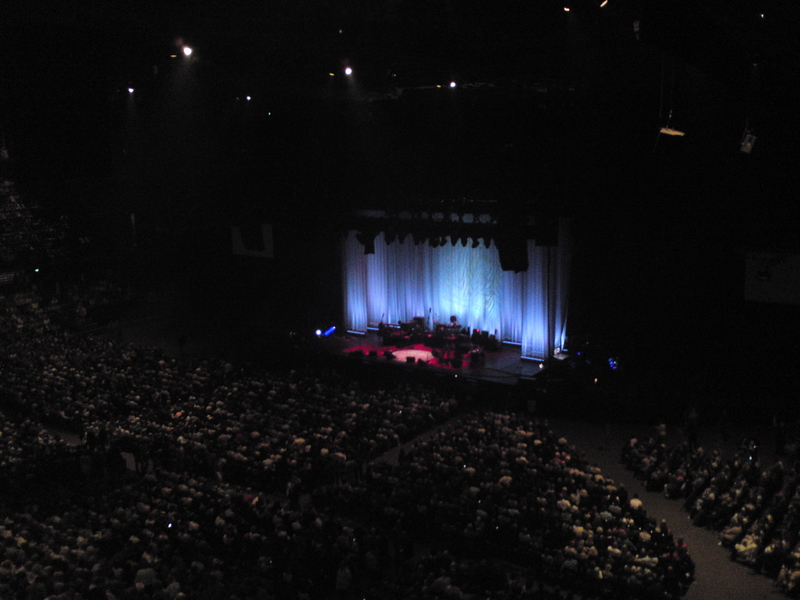 Last friday my friend Linda and I (8.000 in total) went to see Leonard Cohen in Oslo Spektrum. It was her first concert with him, but my second. I was very excited about this concert, because I knew how great it has been back in 2008. The concert start was set to 19.30 and he started ten minutes later. We were there right in time. high up quite far from the stage, but with a great view. With Dance Me To The End Of Love, he started the concert. And after the opening, the hits came one by one. We got to hear Anthem, Take This Waltz, Halleluja, I’m Your Man, Closing Time, Tower of Love, The future, The Aint No Cure For Love among others. He was just as sweet as last time. And humble and a pure gentleman. He took off his hat and bowed so many times. When he introduced us to the band he did it and when one of the players/singers in the band had a solo. How many musician bow the guitarist when they do their solo? Pretty much nobody. I said to Linda sometime during the concert that Cohen was so sweet I felt like giving him a big hug! I must say Cohen impress me. The concert started at 19.40, he had a 20 minute break and ended 23.30. That means he played for 3.5 hours! And he’s friggen 76 years old! It’s amazing. At the end of the concert he left the stage a few times and came right back. He acutally danced off stage and danced on again. His steps were so light and it was so funny to watch! How cool isn’t it to be 76 and still being able to do what you love the most in life? Ah. I wish I have it like that when/if I get 76. I managed to record some of the songs via my phone. I’m a newbie when it comes to that, so on all songs you have to tilt your head to see it. Before next concert (A-HA, the 21st of August) I have to find out how to do it right! Can’t embed my videos into this post apparently, so I’ll give you the link to them on Youtube.